FOX Footy has announced details for The Longest Kick event happening on AFL Grand Final Day. This event is open to the public and will air Live on FOX Footy. 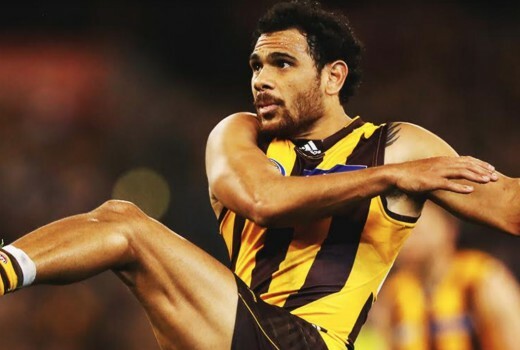 In his first public kick since retiring in July, four-time Hawthorn premiership player Cyril Rioli will aim to make the distance over the Yarra River when he competes in FOX Footy’s Longest Kick on Grand Final Day. No stranger to the big dance, Rioli has experience on his side and knows how to read a crisp spring Melbourne morning in September. Skills that will come in handy as he kicks for $10,000 against some fierce competitors. Hawk Jack Gunston and Giants co-captain Phil Davis will bring the finals power and look to take home the ugliest trophy in world sport (and the second biggest prize of the season). After quitting footy with his eyes set on punting in the USA, ex-Tiger Ben Griffiths joins Cam Rayner, Mitch Duncan, Zach Merret and Jack Silvagni. AFLW represents with two of the league’s biggest names in Sabrina Frederick-Traub and Katie Brennan. The group of 10 super-boots will give it everything, attempting to stop the wildcard winner James Pennycuik from taking the chocolates back to Queensland, something he hasn’t been able to do in his three year reign as the wildcard competitor. Yarra River, Birrarung Marr, Lower Terrace. Live 10:30am Saturday September 29 on FOX Footy.